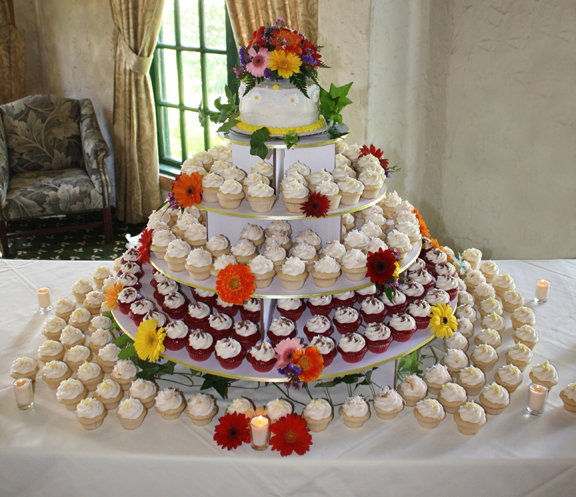 This tower is filled with oh such yummy cupcakes like: Gorgeous Red (Red Velvet cake/Cream Cheese frosting), Havana Desire (Guava filled cake/Cream Cheese frosting), and Panama Paradise (Almond cake/Cream Cheese frosting/toasted coconut). 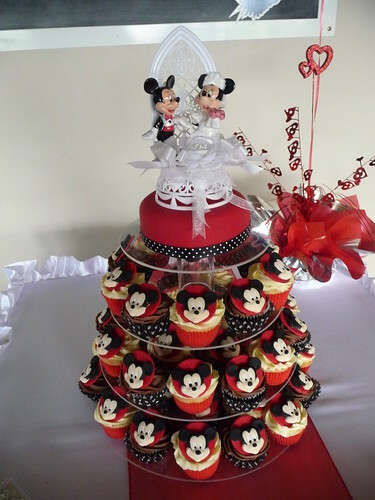 A small Gorgeous Red cake with beautiful Gerbera Daisies adorned the top of the tower. Scatter Daisies were used to arrange around tower. 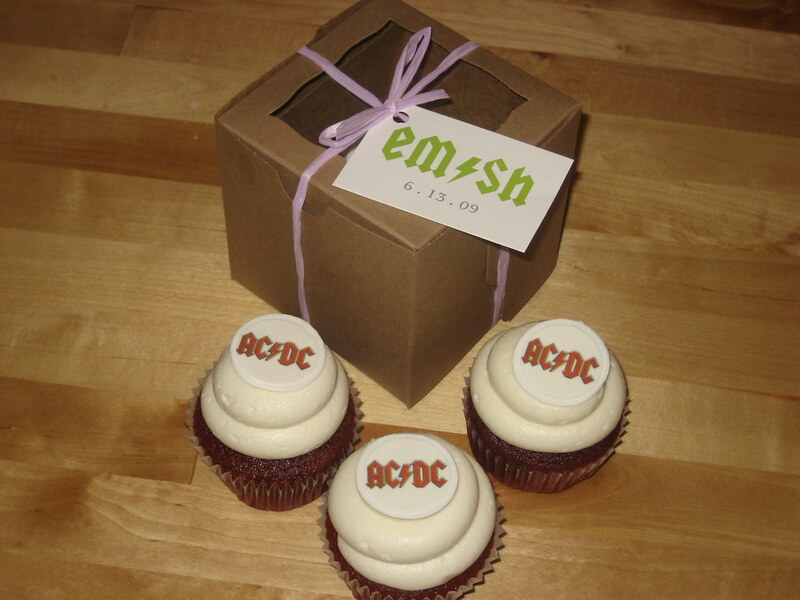 These AC/DC cupcakes are actually wedding cupcake favors, but still, so fun. 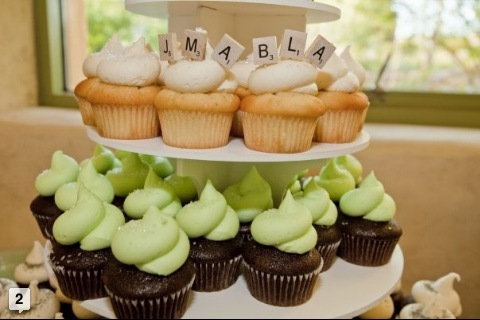 Love the personalization. 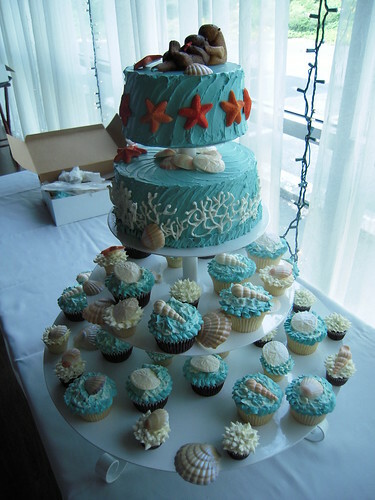 From The Perfect Cupcake (custom cupcakes) on Long Island, via Flickr. 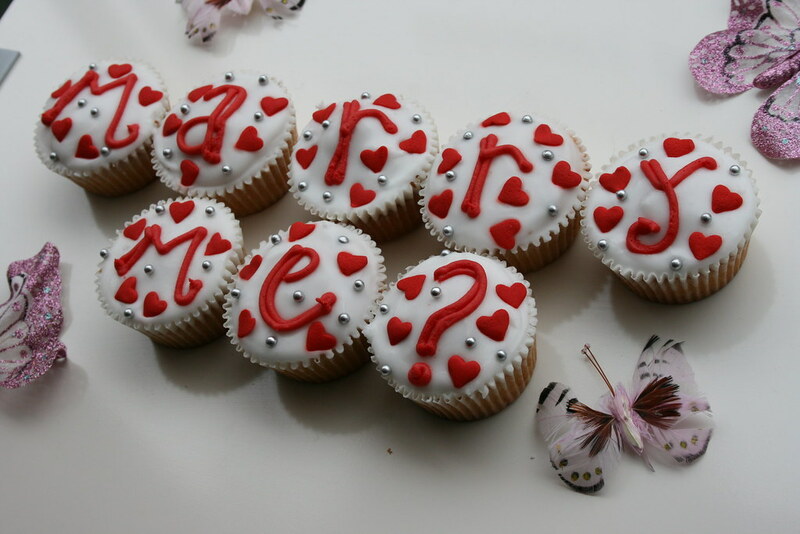 Love, love, love the cupcakes from The Perfect Cupcake on Long Island! 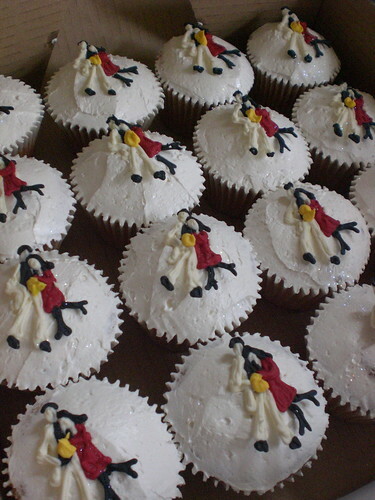 They not only look incredible, they taste AMAZING!